Whether from an injury or general wear-and-tear, a narrowing of your spinal canal, known as spinal stenosis, can lead to pain, tingling, and muscle weakness. 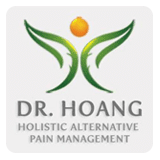 LeTrinh Hoang, DO, and her team at the Center for Natural Family Medicine in the Carthay neighborhood of Los Angeles and Arcadia, California, offer gentle osteopathic treatment for spinal stenosis that not only relieves symptoms, but improves overall spine health. Call today or schedule an appointment using the online booking tool. Spinal stenosis refers to a narrowing of the spaces in your spine that may put pressure on the nerves, causing pain, numbness, or weakness. Spinal stenosis most often affects the neck and lower back. Thickened ligaments, which can develop over time like osteoarthritis, may bulge into your spine and cause narrowing. Not everyone with spinal stenosis experiences symptoms, but once the symptoms start, they tend to worsen with time. Severe cases of spinal stenosis may also lead to bowel or urinary incontinence. How do I know if I have spinal stenosis? Your specialist at the Center for Natural Family Medicine diagnoses spinal stenosis after an examination and review of your symptoms and medical history. Diagnostic imaging may also be recommended to confirm your diagnosis or the exact site of your narrowing. Traditional treatment of spinal stenosis includes prescription medication, physical therapy, or surgery. The team aims to find nonsurgical and nonprescription solutions for your pain and use various osteopathic techniques to improve spine health and reduce your symptoms. Your specialist at the Center for Natural Family Medicine takes a hands-on approach to your care to find the source of your tension. Then, through gentle manipulation of your bones, ligaments, and muscles using a variety of osteopathic techniques, your specialist reduces inflammation and pressure on your spine for better movement and relief from your symptoms. Even if you’ve been suffering for years, the team can help relieve symptoms. For holistic management of your spinal stenosis, call the Center for Natural Family Medicine today or schedule an appointment using the online booking tool.